Are you interested in our Bookkeeping Degree Program? The Bookkeeping program is a two-semester, one-year diploma program designed to give you the skills you need for the growing number of entry-level bookkeeping positions available. All of the classes in the Bookkeeping program transfer directly into WDT’s associate of applied science degree program in Accounting. These two programs give you options so you can prepare for the exact career you want. The ACCUPLACER test is offered Monday - Friday at 8:00 a.m. or 12:00 p.m. Please call 605-718-2565 to make an appointment. Students can complete this program online or on campus! Through 2020, the number of bookkeepers and auditing clerks is expected to grow by 9.1 percent in South Dakota. We also expect a 12.2 percent increase in the number of jobs for billing and posting clerks, a related field for which Bookkeeping graduates would be prepared. 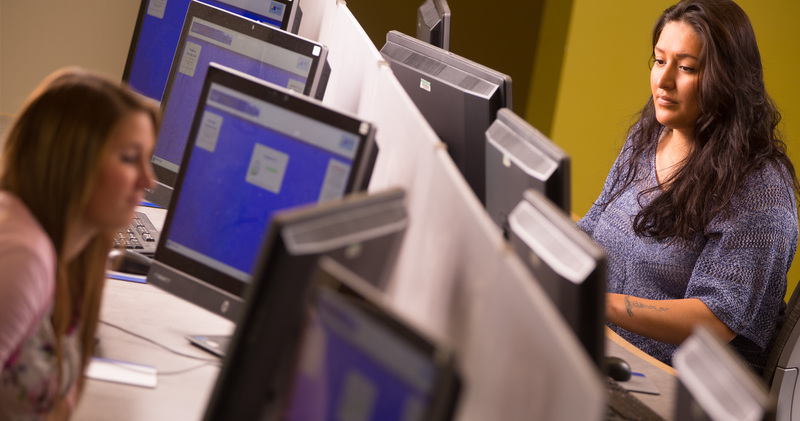 Western Dakota Tech has a low student-to-faculty ratio, meaning more one-on-one learning. Individual attention from your professor can make your college experience more fulfilling. The Build Dakota Scholarship at Western Dakota Tech will pay all your tuition and fees and prepare you for a career that is in-demand and growing in South Dakota. Build Dakota Scholarships will be awarded to students entering high-need workforce programs at South Dakota’s technical institutes to fill the state’s technical careers with skilled professionals. While Western Dakota Tech does not offer on-campus housing, we understand that finding a place to live within town while you go to school can be difficult. We have a few resources to help prospective students find affordable housing. Finding child care during school is a challenge for many students. Western Dakota Tech currently does not offer on-campus child care, but here are some resources that may help you in your search. Youth & Family Services is an organization dedicated to helping children in Western South Dakota. They offer a variety of services, including child care at multiple locations. The Y of Rapid City offers child care and other services. Disclaimer: Western Dakota Tech provides these links to you only as a convenience, and the inclusion of any link does not imply affiliation, endorsement or adoption by Western Dakota Tech of any site or any information contained therein. When you leave wdt.edu, you should be aware that our terms and policies no longer govern. Western Dakota Tech makes no claim or representation regarding, and accepts no responsibility for, the quality, content, nature or reliability of third-party websites or vendors.